Just like the nail salons who charge you only $5 more for each additional service, Bank of America has made the decision to begin charging basic checking account holders $5 a month to shop with their debit cards. Say what? Bank of America will become the first major bank to charge customers across the country a monthly fee to shop with their debit cards, part of a wave of changes that are eroding the low-cost model of banking that consumers have long enjoyed. And as a result, many loyal customers are outraged and ready to close their accounts. “I don't know if they're being run by monkey's, or what's going on, but anybody of normal education would know, that that's ridiculous. It's absolutely ridiculous. 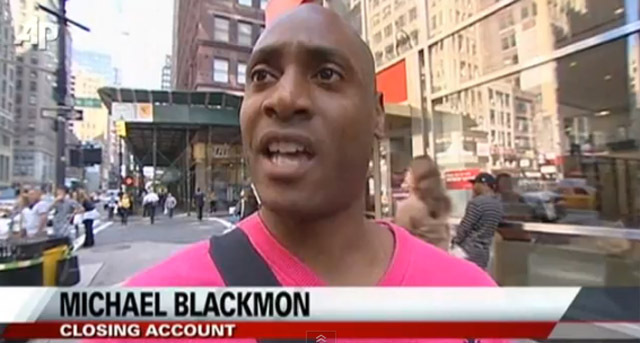 I'm gonna close my account,” said College Prof. Michael Blackmon.